This agar is used for the isolation of fastidious bacteria. It allows to identify the haemolytic pattern and formation of pigments. With chocolated blood it gives good recovery of Haemophilus spp. With antibiotic addition it can be used for selective isolation of Haemophilus and campylobacter and Brucella and streptococci. Add 39 grams of dehydrated culture medium to 1 litre of distilled water. Mix thoroughly. Heat with frequent agitation and boil for 1 min to completely dissolve. Autoclave for 15 min at 121 ⁰C. Cool to 47 ⁰C. Aseptically add 5-10% of sterile, defibrinated blood. Pour into sterile Petri dishes. To prepare chocolate blood agar the blood should be added at 80 ⁰C with intensive mixing. Dehydrated medium: homogeneous, light beige fine powder. Ready to use medium: opaque and cherry red when supplemented with blood. 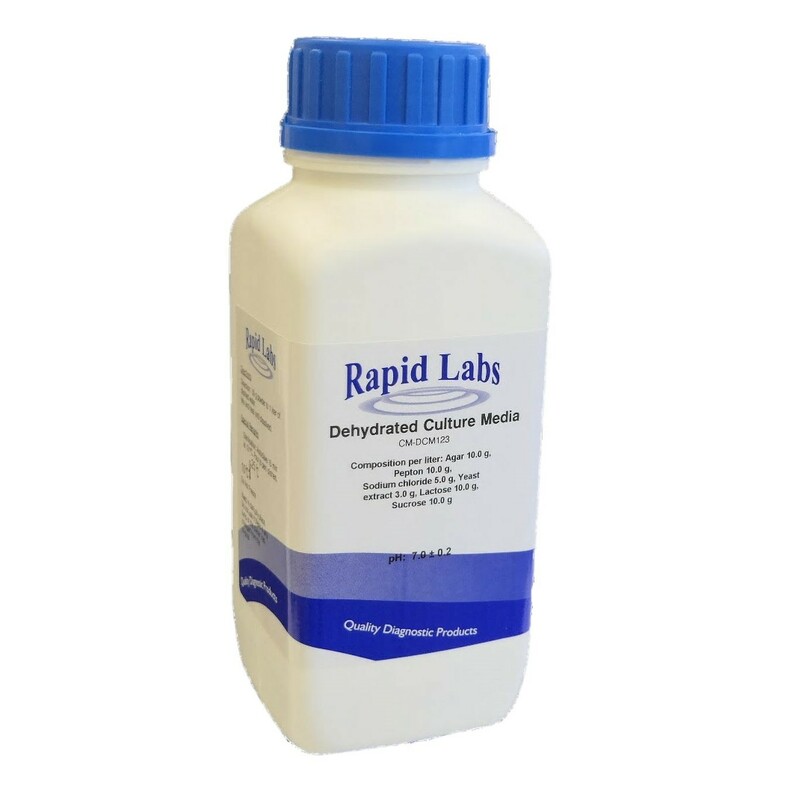 Dehydrated medium should be stored between 10 to 25 ⁰C. Once opened, place the container in a dark, dry place. The dehydrated medium should not be used if there is any lump or if the colour has changed from the original.